Make sure your profile information is up to date with CVB Consolidated Benefits. Visit their website at www.vbgov.com/benefits. From this site you can log into your personal account (the same one you used to enroll for your 2019 benefits). Make sure the information on your profile is up to date, especially your email address. CVB Consolidated Benefits is hoping to create an email list to send out special notices, etc. to enrollees. If you know of any retirees who do not have a computer or email address, please let them know they can stop by the CVB Consolidated Benefits office to check their profile and update their information as necessary. They can also go to any library and use a computer to check their profiles in the same manner. Once logged in you can check on your 2019 insurance coverage as well as last year’s coverage. 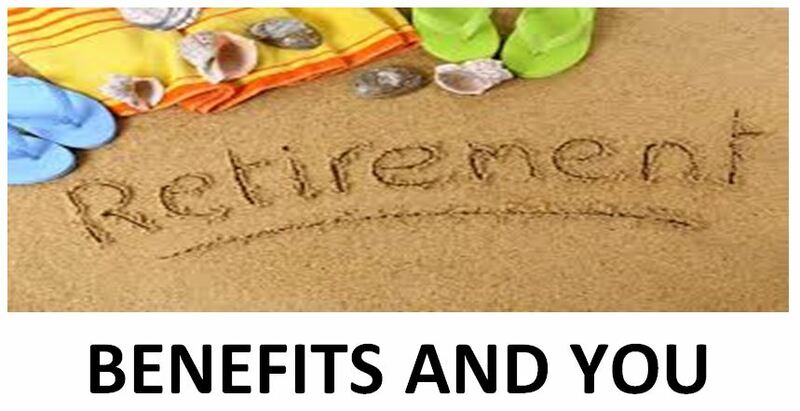 The Benefits website also has a link for Retiree Benefits Information. On this page you can find copies of the quarterly Retiree Newsletter, Retiree Forms, upcoming events, and other information and resources. The Consolidated Benefits Office hosts “Medicare & You” seminars throughout the year. If you are a retiree eligible for Medicare in the upcoming twelve months, you should attend! You will receive valuable information regarding Medicare, along with handouts from Senior Services and the Social Security Administration. You will leave with the knowledge you need to make informed decisions regarding your healthcare needs beyond Medicare eligibility! Seating will be limited, so registration is required to attend. ​For non-Hybrid employees contributing to the City's Deferred Compensation Plan, VB 457, transferring your accounts from Empower to the new VRS Commonwealth of Virginia (COV) 457 has been further delayed. The transfer is not expected to take place until three years from now. What has caused further delay? As the economy improves, the Federal Reserve has been raising interest rates. Unfortunately, these increases have had a negative effect on Stable Value Funds everywhere. Currently, employee investments in the Stable Value Fund (also called Virginia Beach Fixed Income) cannot be sold at book value. This means the City cannot transfer the accounts and maintain the amount you contributed. The market value-what your investments are worth today-has not matched the book value due to the Federal Reserve's rising interest rates. As we shared with everyone in May 2018, the City's Deferred Compensation Board decided that transferring funds from the VB 457 to COV 457 shouldn't happen until the Stable Value Funds offer the best value for our participants. Due to the rising interest rates, they now see that a new strategy is needed. The Deferred Comp. Board will be issuing a Request for Proposal (RFP) to find a business to serve as our record keeper and to manage the Stable Value Fund. We want to issue a new contract-not to exceed three years-to a record keeper offering lower rates (than what we have now) and a new investment strategy for the Stable Value Funds. By doing this, the City feels we'll be able to transfer the funds at book value and employees will not lose the principal of their investments in the Stable Value Fund. But, this will take some time-thus, the delay in making the transfer. Our current record keeper is Empower. Their contract was extended to November 2019 to ensure continuity, thus providing an Empower representative to continue to assist deferred compensation participants until the new contract begins. This delay in no way impacts your current contributions to the VB 457 or the COV 457. The City still plans to transfer all of our deferred compensation accounts to the new COV 457 once the Stable Value Funds reach book value. They don't want to transfer some accounts and not others. They want all to be transferred together. In the meantime, employees can feel comfortable continuing to contribute to the VB 457 or the COV 457. The choice is yours. If you have any questions about this, please contact Finance/Payroll at 385-4301. For full information about benefits and legislative issues supported by the city, please visit the city's website at vbgov.com.